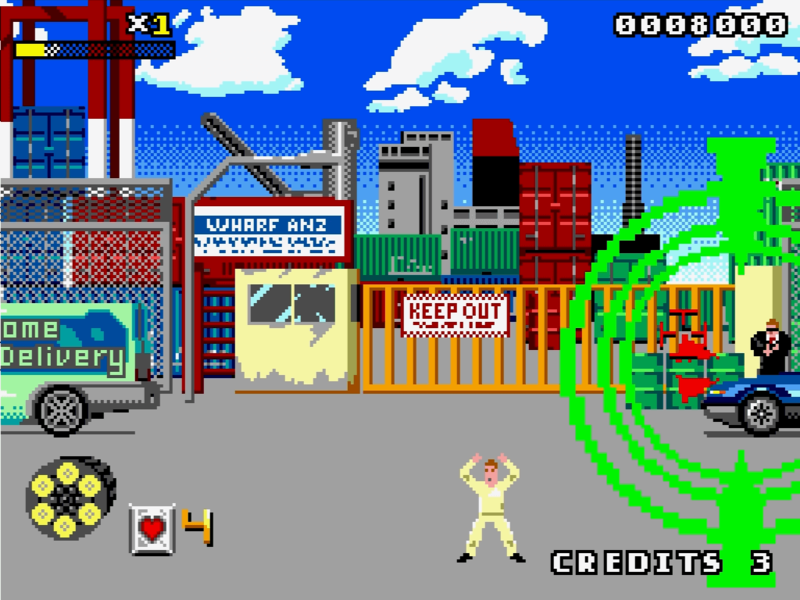 Few arcade games from the mid-90s actually tickle my nostalgia bone like SEGA’s Virtua Cop from 1994 (and its sequels! ); so when I heard about Metro Cop, you better believe I jumped at the chance to play it. Glad I did too, because this is an absolutely incredible technical feat, getting very close to everything fun in the original; right down to enemy placement (more or less). So good. That said, this being a demake and all, certain things have obviously been changed, like enemy spawn/death animations and the tutorial messages. But seeing how so much from the original remains intact, in spite of the technical downgrade, such fancy modern-y things did not hamper my experience at all. I mean, even the screen-breaking effect when you fail to take down a target before they shoot you is there, as well as the need to reload. Clear love for the source material here. As for exactly how many levels from the original is in this version… couldn’t tell ya. I don’t play freeware titles until the credits roll for impressions pieces after all, although at the same time, I did experience enough to give the game high recommendations. Oh, and since it comes without a price tag, why not just fire up your browser, point it to itch.io, and play some Metro Cop right now? Chances are you won’t be disappointed.